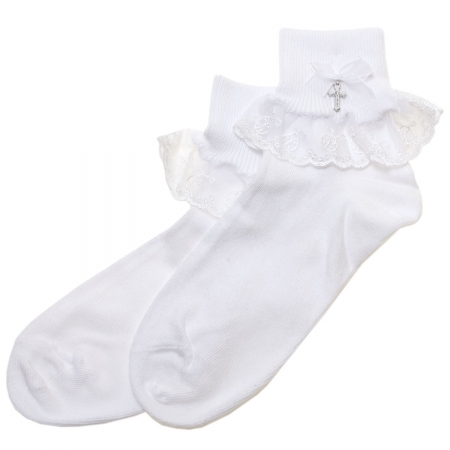 Very pretty ladybird lace socks decorated by a bow and a metallic cross. For use as girls communion socks. Nice finishing touch to a perfect communion outfit. Sizes are in UK child shoe sizes.